First Game, BIG Win for Oregon Baseball! 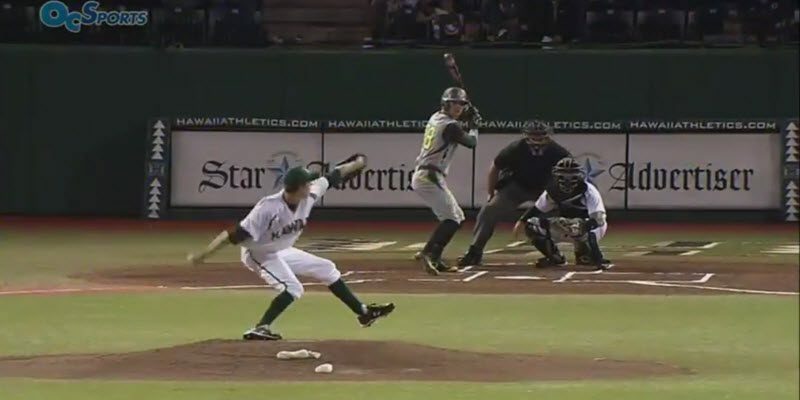 I could not believe my eyes watching live stream (really sharp and clear through GoDucks.com and the UH website) video as on the second pitch JC transfer Matt Eureste hit it for a home run! The sportscasters explained that this was not an easy park to hit out of, but Eureste just had a sweet swing. I was quickly on the phone discussing this with former Oregon pitcher and FishDuck.com Baseball Consultant Ken Hadden, as this was only the beginning of a fun evening for Diamond Ducks! 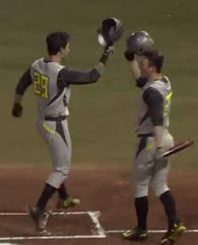 Freshman Jakob Goldfarb (freshman) and three transfers (Eureste,Brandon Cuddy, and Phil Craig-St. Louis) hit .471 among the four for eight RBIs and two home runs, and they were wearing Oregon uniforms for the first time? Upcoming games at PK are going to be fun with hitting like this! A year layoff did not seem apparent in the pitching of Cole Irvin, as he kept the Warriors scoreless in four innings with four strikeouts. The left hander was sweeping the corners, and yet demonstrated the heat we were accustomed to seeing. It was very exciting to see him pitch so well, so confidently for our beloved Ducks again. Jimmy Sherfy step aside as the former-hair “Wild-Thing” at Oregon; new pitcher Conor Haber from Astoria, Oregon has long blonde locks that distracted everyone as he whiffed four strikeouts and left Hawaii scoreless in his five innings. He earned his first career win in relief and looked very composed in his first outing for the Ducks. A new 6’7″ Pitcher at Oregon? Whoa!